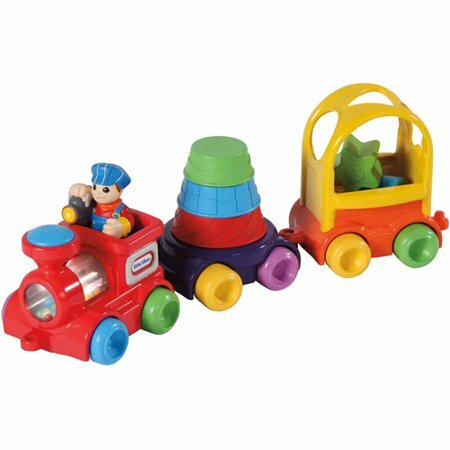 Walmart has the Little Tikes Discover Sounds and Stack Train for $22.42 (regularly $39.60). Three bright and colorful connectable train cars each have their own set of activities for three times the fun. The engine car comes with a removable engineer figure, a bead tumbler and a working light. Stacking cups are on the middle car, while the caboose is a shape sorter.